With China’s biggest celebration of the year just around the corner, here’s everything you need to know about Chinese New Year! Also known as the Lunar New Year, or Spring Festival, Chinese New Year is on the 5th of February this year. The date for the new year changes every year. The date ranges from 21st January to 20th February. 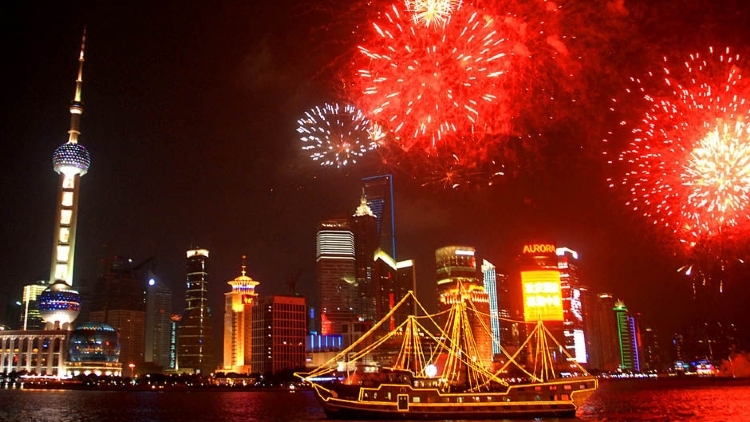 It celebrates the beginning of the new year according to the Chinese traditional calendar, the lunar calendar. Chinese New Year is celebrated by 20% of the world’s population, meaning that the most fireworks in the world are set off that night, too. Firecrackers are believed to scare off monsters and bad luck. They are first set off at midnight and then again in the morning to welcome the start of the year and for good luck. Whilst the Spring Festival is technically 15 days, it actually ends up being 16 as the celebrations commence on New Year’s Eve. The Laba festival in December actually usually starts off the holiday season, which runs until the end of the Spring Festival. That’s 40 days of celebrations! During the holiday season, Chinese spend double the amount on shopping and eating than Americans do during Thanksgiving on average. So many of the desserts served during Chinese New Year have special meanings behind them. For example, tangyuan, literally meaning “soup balls”, sounds similar to tuanyuan, meaning reunion. The holiday is about spending time with your family, so there’s no surprise here. Red corresponds with fire, which symbolises good will and joy. Gifts of money are exchanged in a red envelope, which symbolises good luck. 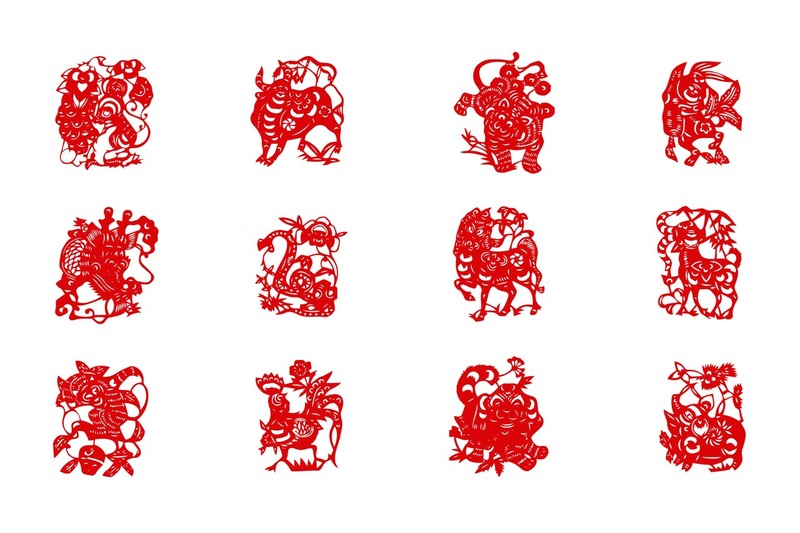 There are 12 zodiac animals, known as Shēngxiào (生肖). This year, 2019, will be the Year of the Pig. 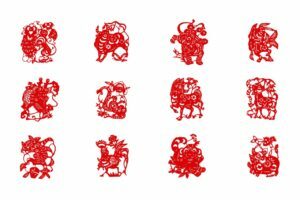 Zodiacs are very important in Chinese culture, as they can decide your success, health and relationships! 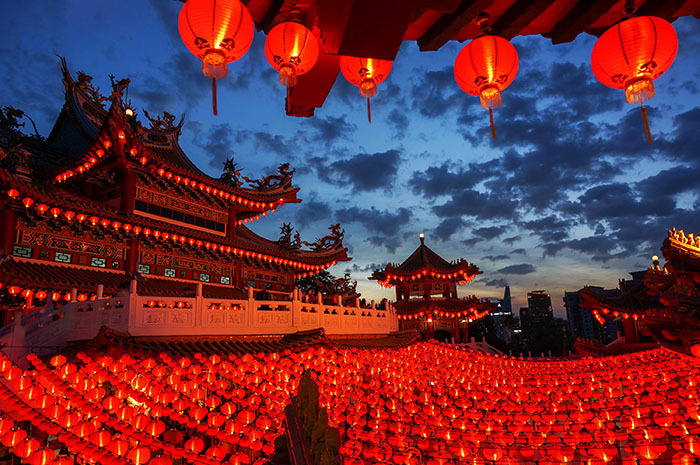 The Lantern Festival is celebrated on the 15th and final day of the Spring Festival. Its roots trace back to over 2000 years ago! It is also known as China’s Valentine’s Day, as traditionally young people were chaperoned in the hopes of finding love. The lanterns are nearly always red, symbolising good fortune. With the Chinese New Year comes the biggest migration of people globally! Click here to find out more! 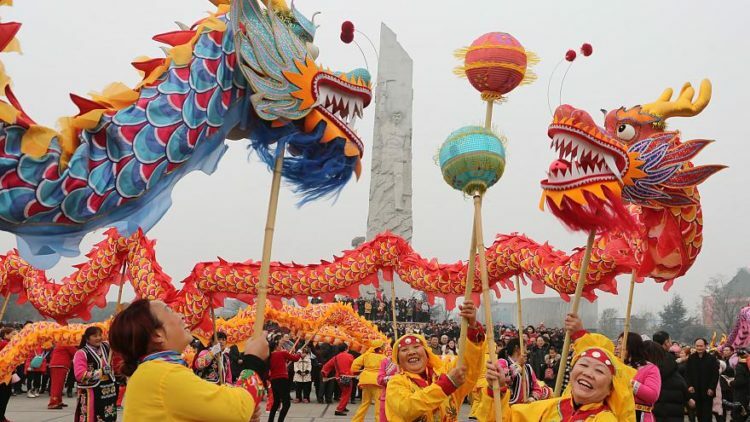 With China's biggest celebration of the year just around the corner, here's everything you need to know about Chinese New Year! 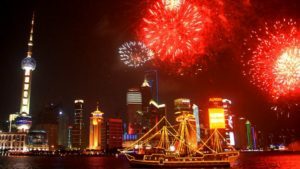 Chinese New Year is celebrated by 20% of the world's population, meaning that the most fireworks in the world are set off that night, too. Firecrackers are believed to scare off monsters and bad luck. They are first set off at midnight and then again in the morning to welcome the start of the year and for good luck. Whilst the Spring Festival is technically 15 days, it actually ends up being 16 as the celebrations commence on New Year's Eve. The Laba festival in December actually usually starts off the holiday season, which runs until the end of the Spring Festival. That's 40 days of celebrations! During the holiday season, Chinese spend double the amount on shopping and eating than Americans do during Thanksgiving on average. So many of the desserts served during Chinese New Year have special meanings behind them. For example, tangyuan, literally meaning "soup balls", sounds similar to tuanyuan, meaning reunion. The holiday is about spending time with your family, so there's no surprise here. The Lantern Festival is celebrated on the 15th and final day of the Spring Festival. Its roots trace back to over 2000 years ago! It is also known as China's Valentine's Day, as traditionally young people were chaperoned in the hopes of finding love. 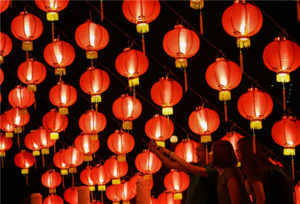 The lanterns are nearly always red, symbolising good fortune.